To see our reviews, please click on the following links or just scroll below: HomeAway / VRBO, Google Reviews and Airbnb. Go to our LEAVE A REVIEW page on how to publish your review. We love to get feedback from our guests so we know what they liked and did not like (and so we can fix/improve things for the next time). If you have an issue or a concern or something that we need to address right away, please email us directly via howardbeachhouse@gmail.com rather than writing a negative review. We will do our best to ‘make things right’ as quickly as possible. Thank you. Property and location is everything you could hope for. We are already planning our return. Amazing beach! Perfect for kids. House was comfortable and area is safe. Wonderful for a family vacation. Exactly what we wanted! MUCH BETTER THAN ANY HILTON ! A VACATION BEYOND OUR DREAMS ! HBH is extremely clean,modern, spacious, well-equipped and beautiful. Everything anyone could wish for to have a fantastic vacation is supplied–paddle board, kayaks, hobie cat, small beach toys and towels as well as books, puzzles, games and even TV with chrome cast! The perfect white sand beach and incredible turquoise waters are just steps from a fantastic pergola and deck. How could anyone wish for anything more? This place made our hearts sing! Like the previous reviewer, I don’t want to leave a great review, because then the secret will get out and I will have competition for my next visit! However, to repeat what others have said–the whole experience was excellent from start to finish. Howard (the owner) was responsive and helpful when it came to booking, and arranging transportation to the house. Vince & Lori (the property managers) met us at the dock, and were available all week if we had questions or needed something. The house was super clean, the beds super comfortable, and the kitchen well-stocked. We rented a golf cart and a boat, and needed nothing more for the perfect week! It is unusual for a property to be better than it looks in the photos, but that was true in this case. We especially loved that all 8 of us could sit at the kitchen island together for dinner. Recommendations: 1. Rent a golf cart and a boat from Harborside Rentals. 2. Have dinner at least once at the Shipyard and at Wreckers. 3. If you are a sports fan (or even if you’re not), go to Budda’s for a beer.They have a great liquor store too, which is open 7 days a week. 4. Go for a drink or lunch and a swim at the Sandbar on Russell Island when the wind is from the south (otherwise there can be flies). They have a great little beach. 5. If you have a boat, go to Ben Bay off Ridley Head; if not, charter a boat trip for a day. 6. At low tide, walk on the beach from the house all the way to the Russel Island bridge and back–it’s about 3 miles. Also walk out onto the sandbar in front of the house. 7. Take the golf cart to the little pavilion near the bridge and watch the sunset. 8. Follow Howard’s Golden Rule: relax and have fun! We don’t want to say how we feel, because we want to keep this gem a secret! This is our second stay here, and we cannot say enough! We’ve already booked our third trip. The house is spacious, comfortable, updated, and extremely well stocked. We are still searching for the saltwater pool! Everything you see in the pictures is real. Howard is great to work with, and extremely responsive. Vince, the house manager, is the same. Don’t come here, you will hate it! 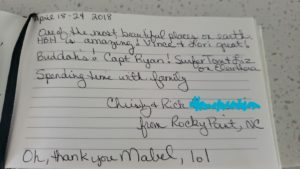 The house is beautiful, modern, very clean, has everything you could need and more, the location could not be better, The host was always available and made sure we were well taken care of. We will definitely come back. Thanks Howard and Vince for everything you made out Family vacations unforgettable. Howard’s Beach House was a perfect spot for our family vacation with our two toddlers. The house itself was comfortable, clean, bright, and airy, and the views were a dream come true. I felt like I was in a movie! We loved kayaking and swimming out to the sandbar, collecting sea shells, and touring the island on our golf cart. Howard made traveling with two young children as easy as it could be by providing essential bulky “gear”, as well as great advice about traveling to Spanish Wells. He helped to arrange transportation from the airport, and was a truly superior host every step of the way. I can’t say enough about our experience at Howard Beach House. It was amazing! This is a beautiful house in front of a gorgeous beach. Howard’s Beach House – perfect. We were 6 ladies celebrating a milestone birthday and I found Howard’s Beach House and thought to myself, this is US. And it WAS. 1. Location = really? It was perfect. The beach, sand bar at low tide, and view were superb. No brainer. 2. House = another surprise. You know when you see pics on line and then you get there and are a little disappointed – NOT the case here. The pics actually do not do the house justice. 3. Kitchen – let us just say, so well appointed you will need for nothing. 4. Linens, bedrooms, bathrooms – Again. Top of the line. 5. Safety – never a concern. We all felt safe day and night. 6. Caretaker – Vince and his wife – OMG this almost made the trip for us. So knowledgeable and friendly. We of course did not need him for anything during our stay, but we ran into him several time on the island and he was just a character and is more than happy to share the history of the house, the island, and the people. Had many a great conversations with him! Oh did I say view? The porch facing the water is beautiful with a lovely table and chairs outside to dine or just relax and watch the water. Two lovely and comfortable chaisse lounges as well. We did make the time to do a few excursions, headed out on a day trip to Eleuthera where we saw the Glass Window Bridge (no to miss), Preachers Cave, Queens Bath, and more topped off with a great lunch spot. Headed out on the boat for a day of snorkeling, beach hopping, etc. Again, not to miss. The house nor the island will disappoint you. We are already planning a return trip. 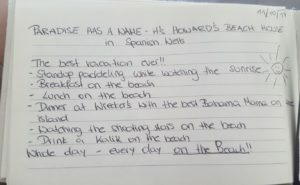 oh PS – I do not want to forget Howard himself. He was A-1, helpful in planning and was so available to me with all my questions as this was my first trip to Spanish Wells. Oh, and he is pretty darn funny too! Can’t wait to go back. Can’t Say Enough About This Place!! 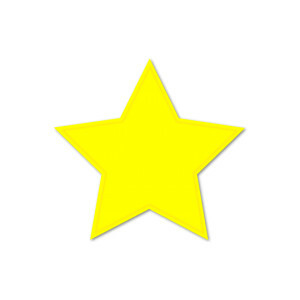 I wish I could give more than 5 stars! The Howard house was absolutely amazing. Well appointed yet very comfortable. We enjoyed everything about it. However, I must point out the most spectacular thing about the house is the location. 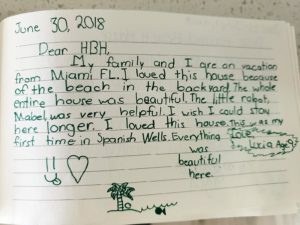 When Howard says the house is literally on the beach, he’s not kidding. The soft sand, crystal clear water and sandbar are heavenly. The Islanders are fantastic – so friendly and welcoming. We felt safe no matter where we were on the island. Vince was a tremendous help – we are forever grateful for a very wonderful Bahama’s experience. Thanks Howard for sharing a little slice of paradise. We will return God willing!! The house is on an amazing beach and we loved Spanish Wells. It was a great vacation. My greats friends invited me to join them this past May for a week of their 2 week stay. It was absolutely beautiful, relaxing, gorgeous house, pristine water…I could go on and on. I will be going back next year and getting a group together as I write this. My family of 7 (3 generations) just returned from a fabulous week at Howard’s Beach House. We completely fell in love with Spanish Wells and couldn’t have picked a nicer house to stay in while there. The location of HBH really cant be better. Its so easy to get to the dock, the grocery store, Russell Island…and Papa Scoops is just around the corner! The house is even closer to the sand than I imagined (and I knew beforehand that it was right on the beach). Everything we could have wanted was available to us and of the highest quality. Howard even had child life jackets brought to us before a boat trip. Vince was so helpful and full of great local tips. The beach is maybe the nicest I’ve seen in my travels…very calm and very warm. Perfect for little kids (and grandparents)! We cant wait to go back. Thank you Howard for sharing your piece of paradise with our family. Aside from other travels and vacations within the US, the wife and I have stayed at a couple resorts and rented several houses on various Caribbean Islands and rate this house as one of the best. I’ll not rewrite the owners post but this house is very nicely decorated and in like new condition with upscale finishes / appliances as well as being so clean and comfortable. Three of the four bedrooms have their own bath. That was great! When they say right on the beach, they mean it is right on the beach. We had a couple grandchildren with us that could swim but usually we have to pack up and sit on the sand to keep an eye on ’em. With this house you are about 25′ from the waters edge while sitting on the ground level deck and literally talk to them with out hardly raising your voice. The swim area in front of the house which is about a square mile(+) in size, is rarely above chest deep (for adults) so its great for swimmers and non-swimmers alike. For a snorkeling trip from the shore with the furnished kayaks, we explored out to the islands (shown in the picture). From the house it’s about two kilometers each way or you can walk the shore and cut that in half. To some that sounds like a lot but as the local guy in the dive shop said “nothing to it”. On that trip we got to see some rays, a lobster, pretty fish and coral. We also paid for a day trip with one of the several local guides. You can name your trip for fishing, snorkeling, swimming with pigs etc. Worth the read if you contact the owner and get his post. He gives a lot of great detail about the house, good travel tips and the island. I usually say, I want to go somewhere different on every trip but for this one, I could likely be talked into doing it again. .
We all fell in love with Spanish Wells and this beautiful home! What a great place to stay! Of all the many places to stay in Spanish Wells, this is one of the better ones. The property is located in the “sweet spot” along the 2 mile shore line. This is a perfect place for family and children. We found it most convenient for food shopping, dining, and general sight seeing. The house is in great shape, the A/C worked well, and we were surprised to see so many floats, kayaks, and beach toys for the kids. Talk about heaven on earth. Howard’s Beach House is completely updated with every ammenity you can possibly think of. His house is on one of the best places I have ever been to. This destination blows Bora-Bora out of the water. Howard is available by email and is very responsive. His property manager Vince and his wife Lisa are available for anything you need. Everything can be set up for you before you even arrive. We used Pinder taxi service. $30 for 2 people (one way) which includes your taxi from airport to boat dock then boat ride to Spanish wells. When arriving to Spanish Wells you are greeted by Vince and Lisa. They drive you over to pick up your golf cart and then you follow them to your paradise dream home and get you all set up. Golf cart rental was $40 flat a day for a two seater. Exploring the island in a golf cart is one of my favorite things. Walk right outside your door and hop on your cart and cruise to dinner. Unreal experience. Get ready to be amazed by the beauty and simplicity of this island. Now the beach/pool… the ocean is the pool. Biggest pool I’ve ever been in! And it’s just steps from Howard’s patio. Kayaks, paddle board, pool floats, snorkeling equipment and beach toys for the kids. This place is a dream. Check it out for yourself. You can do half day or full day boat charter that will take you out and show you the islands. Make sure you go out on a boat at least one of your days. There’s not much else to do here except relax and enjoy what’s right in front of your face. And this house makes it to easy to do. Family friendly and safe. This was our second stay here. We will be back for our third stay by the end of this year. Home away from home. Best house on the beach. Awesome location! This place is heaven on earth, I can’t recommend it highly enough. The beach is magical and the house is beautiful. We stayed as a family of 6 and it is the perfect location for kids. There is a variety of equipment for water sports provided, and sand toys for the kids. The host was helpful and friendly. We are already planning our next trip back. Howard Beach House is Heaven! This was our 4th time staying here (3x in March and once in August) and each time it gets more and more difficult to leave! The house is bright, modern and spacious with beautiful views of the ocean. The white sand beach is incredible, and we love walking out to the sandbar to view sea life at low tide. Our children and grandchildren love the clear, warm, shallow water, paddle boarding and kayaking. Homemade soft ice cream at Papa Scoops each evening is a must! Spanish Well-ians are welcoming and always helpful. We feel very relaxed in this low key seaside community that we call Heaven! Howard, the owner and Vince, the manager have made this beach house in Spanish Wells our favorite all time destination! Our second year here. The newly added deck and awning really help the outdoor space. We enjoyed the paddle board and kayak. Thanks for another great holiday. Everything we could have asked for in a beach house, and then to be able to roll out the back doors and onto that fabulous beach and into the warm ocean waters! The beach felt private. Our favorite thing about the house was how well the kitchen and that marvelous long island served our big family…. But we also loved the decks, the lovely shade provided, and the toys! Kayaking, paddle boarding, long walks on the beach while collecting shells kept everyone happy. Just marvelous, and we hope to return. Thank you again, Howard! Could not ask for a better place to stay in it was all we could ask for and more the house was right on the beach and the sunrises and sunsets were the best you could get,even the wind and rainy days we had were few they were the best I would tell everyone that I see that it is worth going and seeing for yourself I had a great time thank you for letting us say at your house for our family vacation I will always remember this one and so will my family thank you again Howard and Vince you were both very nice people to talk to and deal with. Howard Beach House is truly amazing! We have traveled all over the world and rented houses during our travels, but this is one of the best. The house has plenty of space, stocked kitchen, comfortable beds and the most beautiful view on the island. It’s incredible to look out and see the beach and water just outside the door. Spanish Wells is a fabulous island with amazing restaurants-Shipyard and Sandbar to name a few and lovely people. Vince is fantastic and very helpful. We are looking forward to a return trip in the near future. Howard’s Beach House was everything you could want for a relaxing home away from home holiday. The front yard really is the beach, the soft warm breeze, the sun, the sand and the people are incredibly friendly. It’s a small quaint little island that has a big heart. Howard’s house has everything you would need for comfort – it’s big and clean and accommodates plenty of people. My partner and I stayed for two weeks and had friends come for one of those. We all loved it. We stayed in and cooked most of our own meals but went out a few times to Wreckers restaurant and Shipyard restaurant. Amazing! Great food and again excellent service. Oh and the Sandbar Grill on Russell Island – super fun and again great food/drinks and service. And I cannot forgot Buddha’s. By the second time the made us feel like regulars 🙂 The property managers were top notch! We never got to meet Lori but Vince was there for everything we needed and to answer questions. Great guy! Thank you Howard for opening up your little piece of paradise to us. The best place for relax. The house is perfect. The beach is gorgeous. Pasamos unos días increíbles. Queremos volver! We had incredible days. We want to go back! It’s Amazing…the House, Island and the locals…EVERYTHING! Howard Beach House was everything we had hoped for! It is literally right on the best beach in Spanish Wells and we loved waking up to the sound of waves lapping the shore. The house had a beautiful interior and a great patio to relax in the shade and enjoy the view. It has very nice furniture throughout and was well equipped with everything you could possibly need in the kitchen. Howard, the owner was a pleasure to deal with and the property managers, Vince and Lori, were so nice and very helpful during our stay. Would definitely recommend! Der Aufenthalt im Howards Beach House war traumhaft!! Das Haus ist neu renoviert und alles ist wunderschön. Vince und Lori sind sehr hilfsbereit und wirklich sehr nett. Kann man echt nur empfehlen! The stay at the Howards Beach House was fantastic !! The house is newly renovated and everything is beautiful. Vince and Lori are very helpful and really nice. Highly recommended. Pictures look just like the house! They have everything you need and more! Howard went above and beyond for us and we were so fortunate to have found his place. If there’s something you need, all you do is ask Vince and he will be on it so fast. 5 days simply wasn’t long enough so make sure you book at least 7 days! HBH is great for families or couples. The people of Spanish Wells are extremely friendly, helpful and welcoming. Make sure you set up a charter with Tyson and Lisa. They brought us to see the pigs, spear lobster (which we made for dinner), snorkel and made us the best lobster sandwiches we’ve ever tasted. HBH has everything you need and more. We’ll definitely return in the future! This house is amazing and situated in a perfect spot. Close to everything. We loved the decor and enjoyed how spacious it was. This house is gorgeous and had all the amenities from a Keurig machine to a high quality washer and dryer. We loved the location (close to everything), breathtaking views and didn’t want to leave. The owners were very easy to work with and quite accommodating. This house is great for a group of couples or a large family. With three ensuites, an additional half bath and two kings I am confident there are few houses on Spanish Wells that can rival it. Highly recommend. We stayed at Howard’ house for a week. It is the best location on a beach I ever had, and i’ve been around. The house is huge and very modern with all the commodity. After touring both islands (renting a golf cart was amazing and cheap) Howard’s house is the best location and the beach a couple of feet from the door is magnificent. A place you want to return!! 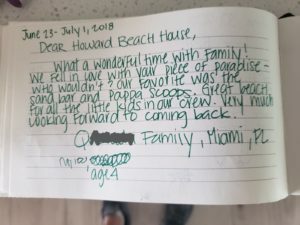 After checking out of Howard’s on the last day of a very memorable week there, we all agreed that we don’t remember the last time we had such a relaxing vacation. Our family truly had the best time relaxing on the water all day and enjoying Howard’s quaint, well-equipped, and thoughtfully refreshed home. The whitewashed interiors were so cozy and relaxing, and the convenience of having every necessity just a cupboard or drawer away was much appreciated. We spent our afternoons on the beach or on a boat, visiting tiny islands and fishing with Captain Ryan of Spanish Wells Fishing (who we highly recommend), and cooked our fresh catches by night. We loved lounging on the hammocks and enjoyed the new outdoor deck space and shower. Showering with a view of the water (from the master bath) each day was a treat. His caretaker, Vince, was also delightful and we felt very taken care of and at home. We highly recommend Howard’s, and would love to return someday. We absolutely love Howard Beach House! We stayed in HBH with 2 families, perfect fit! HBH is a hidden gem…a home ON the beach of Spanish Wells with all of the modern luxuries you could ever want/need. The back deck is literally steps from the beach…makes beach life with kids a dream (and an outdoor shower)! Howard is flexible and more than accommodating… & Vince, the house manager, was always there to answer questions or help when needed. We have traveled to a handful of the “out islands” and our HBH rental experience far surpassed any other. We love the simple lifestyle of Spanish Wells, & we have now found our go to rental! You will not be disappointed. We stayed at the Howard Beach House in July for 2 weeks and had a great time. The interior of the home is very new and modern. We have stayed at quite a few properties around the island, and this is likely one of the nicest interiors. The exterior (yard) of the home could have used some additional amenities, but overall it is a very nice place to stay. Its on a great stretch of beach and in a good location on the island. The caretaker Vince is a super nice person, and will take care of whatever needs you may have… I would definitely recommend this property. One of the Best Places on the Island! My family stayed at the Howard Beach House for 10 days and it was one of the best places on the island. We have been vacationing in Spanish Wells for the past 5 years. The bedrooms were perfect! Two bedrooms were ocean front. I loved waking up to the view of the ocean each morning. The kitchen was well stocked. We ate most all meals at the house. Vince, the caretaker of the house, was very helpful to get us back and forth from the dock. We plan to stay at the Howard Beach House again next summer! Perfect for two families! Great setup. Owner and caretakers so helpful. Islanders are so friendly. A stunning setting to enjoy the beach, warm clear water in a beautiful beach house. Everything you could need for a tranquil, relaxing vacation is at hand. Exploring the island by golf cart led us to discover the best fish tacos and sangria. Thank you for opening your beautiful home to us! We had a wonderful 5 day vacation on Spanish Wells. Fishing for 2 days and an Excursion Tour though Underwood Charters were GREAT! Can’t wait for our next trip back to PARADISE!! Property was on the water and is perfect for a relaxing vacation. Howard is very easy to deal with and Vince can handle anything you need while on the island. We enjoyed Howard’s Beach House for 10 days this spring. Traveling with me were my daughter, son-in-law and their three boys, ages 11-17. The layout of the sleeping rooms was perfect. The bedrooms and bathrooms are clean, pretty and well cared for, and comfortable. The twin bedroom was a good spot for the two youngest grandsons. Howard has worked hard to make this a great get-away place. We appreciated the abundance of new beach towels and well stocked kitchen. We asked if he had a crockpot and he bought one! Also, a great blender for making delicious drinks is available. The appliances are new. The refrigerator is nicer than the one I have at home. One of our favorite features was Olive the robot sweeper. She kept the sand out of the house and made beach life even more enjoyable. I like sand on the beaches, but not in my living space! Vince and Lori are the caretakers of the house. Vince checked on us often to see if we were in need of anything. I think he is awesome! When it came time to arrange for the ferry back to the North Eleuthera airport, he made sure we had given the ferry the right information. He didn’t want us to have a problem. Riding around in our “buggy” (golf cart) will forever be a memory. We loved getting out and about several times a day to drive around the island and see new things. Every night our ritual was to go to Papa Scoops for homemade ice cream. It is just down the street. Delicious. Howard, thanks for letting us spend 10 amazing days in your Spanish Wells home. I hope to return again! FANTASTIC!!!! We were able to grab five days at the end of Apr and early May/17 at Howard Beach House and will definitely look forward to going back as soon as possible. The home is awesome and the views are spectacular!! From the huge master bed in the morning, our first sight, when we awakened was a hammock, a beautiful palm tree and the gorgeous blue/green colors of the Caribbean Sea. Not to mention the relaxing gentle sound of the surf. The friendliness of the Spanish Wells locals was only surpassed by the ease and charm of dealing with Howard, himself. The visibility of Vince and Lori was most helpful and they are two of the nicest people you will ever meet. You can’t go wrong staying here!! We had a fabulous stay! You have created such a laid back, but so very elegant, tropical home. In my mind the name of your house is ‘Howard’s Slice of Paradise’. And your kitchen is very well equipped — ‘wasn’t expecting that, and I brought place mats, napkins, tongs, etc. Nor did we expect Vince to make a luggage run upon our arrival — everything was perfection. . . and this is before your new deck is in place! And the final jewel in the crown . . . Frank caught ‘bones’ — ‘makes for a happy man! Thank you for sharing your beautiful home with us. This week has been a wonderful week in Paradise! We had some blustery days with rain but spent those days at the public park which was shielded from the wind. We had picnic lunches and played in the water. Most afternoons we explored the sea life near the sandbars. We loved our family dinners, games and ending the day at Papa Scoops! 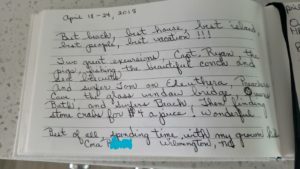 We stayed at Howard Beach House for spring break and it was a great success. The kids loved playing in the water and discovering the sea life. My wife and I loved the tranquility of the beach and the laid back, friendly nature of Spanish Wells. A wonderful retreat from everyday life. We found the house to be everything we could need or want. The rooms were comfortable and inviting with modern and updated amenities. Everything is done very tastefully and really has a well put together feel. Howard was great to work with and we made arrangements without difficulty. Vince, the local manager, is a delight and is full of local info and suggestions. They’re a great team. We look forward to returning next year. Thanks!!! Best location on the island, right on the beach, it was perfect with the kids. The place was recently remodeled from the inside and it looks great, there are some kinks to sort out, but nothing to worry about. There is some work left to be done on the outside. It is walking distance to the grocery store and to few restaurants. Communication with both the owner and care taker was suburb and they tried to accommodate and help us if we asked. We very much enjoyed the stay and hope we could return in the future. Looking for a beautiful property right on a fantastic beach? New interior design with wonderfully comfortable furniture important? Friendly host(s) with local dining and adventures desired? STAY HERE! This newly renovated property might be a little challenging to get to but it is well worth it. When you arrive, you’ll be impressed with the wonderful managers/hosts to get you acquainted with the property and the island. The owner’s website is so full of property information and local knowledge, we truly felt at home from the first moment we arrived. This property was newly renovated on the interior and wonderfully clean, fresh and modern! Fully stocked kitchen and nearby grocery stores made it possible to make many of our own meals and pina coladas! As for the outside of the property… still under some construction but no issues whatsoever. Great outside furniture, hammocks and toys. The beach is incredibly close with gorgeous sand and I don’t think Howard’s pictures show you how truly convenient this beach is from the house. Maybe 30 feet? The water was a great temperature in March and you can wade out for about a half mile if you want. Very uncrowded beach great for long walks. We couldn’t have been more relaxed and we felt totally at home during our entire stay. We met the owner at the end of our stay and he was charming. 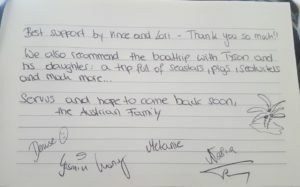 We can’t wait to return, perhaps taking another couple or two with us, unless our teenage children forbid us to go there without them! Stay at this property if you want a very relaxed, comfortable stay with peace and quiet, great food and scenery and friendly locals! We stayed at the Howard Beach House for a week in February and can enthusiastically recommend this property to anyone looking for a relaxing beach side holiday. Spanish Wells is a great place – safe, easy to get around, friendly people and excellent restaurants. The house itself has been beautifully renovated with high end finishes. It is a 4 bedroom home that can easily accommodate a family or several couples. The open kitchen/living room area has a long island with cathedral ceilings in the living room. The best part is the white sand beach which is right out the back door. Two of the bedrooms and the living room look out onto the beach with large sliding glass doors and we could easily hear the sounds of the ocean waves from the house (very relaxing). We did not see a lot of people on the beach when we were there. We enjoyed watching the ocean change colours showing various shades of blue and green throughout the day. The master bathroom is also gorgeous with a wonderful tub and shower and fantastic view. The owner and the onsite property manager were easily reachable for any items that came up during our stay. All in all a great vacation. The House is newly renovated with all the equipment and amenities you would need for your vacation. Very spacious and modern but also cosy and warm. It has the best position on the entire island since it is located just a few steps from the sea and has the most beautiful front yard with palms and greenery. Looking at the Atlantic ocean, you will have your own compilation of waves touching the white sandy beach. Turtles and stingrays feel quite at home while swimming in front of the house. The owner is very friendly and helpful with all the answers to your questions and always available with lots of recommendations for where to eat, have a drink, take a tour and similar. Owners colleagues, Vince and Lori, are there for you if there is anything you would need. The island is super safe with only locals who always say hi to one another and smile. There is everything you would need during your stay, a very good grocery store, restaurants (Budda’s, Wreckers, Shipyard, Salt’n’Pepa’s..), bars (Sandbar), liquor store (Budda’s), bank and atm (RBC), agencies to take you to a tailor made tour with the boat (James from Bahamas Ocean Safaris). Feels like home in your own piece of paradise. Looking for Paradise? This is It! Howard Beach House could be called “Howard Beach Home” for all the comforts and coziness you’d want in a vacation home. The 6 of us stayed in ensuite rooms. The Master bedroom and bath was stunning. But the kitchen and family room overlooking the water was one of the things we most enjoyed (inside). A huge long table allowed for plenty of room to prepare and enjoy meals. And play monopoly:). And step outside to one of the most beautiful beaches anywhere. The cool waters were turquoise, shades of blues and greens. The inviting hammock and lounge chairs made for great relaxation. And the stretches of white sugary sands on both sides of us invited long walks down to the points on either end. We can definitely recommend this beautiful, comfortable, relaxing home right on the beach! Wow! What an incredible spot. I stayed at this place a couple of years ago (before it was Howard Beach House) and fell in love with the water (such beautiful colors) and the beach and the sun. The house, however, had seen better days. It was functional but was more ‘early eighties’ (drop ceiling, laminate countertop, rickety ceiling fan) sort of place. Now, the house is (almost) as wonderful as the weather and the beach. It has a great airy feeling with the cathedral ceiling in the kitchen/living room and the big sliding doors that let the ocean breezes waft through. I loved the really long wooden island in the kitchen and the high end outdoor furniture (spent most of my time in the hammock). The master bathroom was my favourite ‘inside place’ with the soaking tub and the huge shower that has a view of the beach. Can’t wait to be back!